ARP Pulley Bolt Kit UNKNOWN - Pann Auto Performance - San Diego largest aftermarket automotive performance parts - What do you drive? 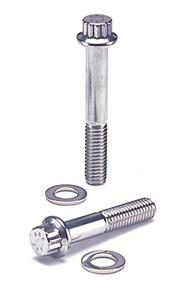 To provide the reliability required in racing and high performance street applications, ARP offers premium grade 170,000psi fasteners to securely attach the water pump and lower pulleys. You can count on them to perform. Washers included.